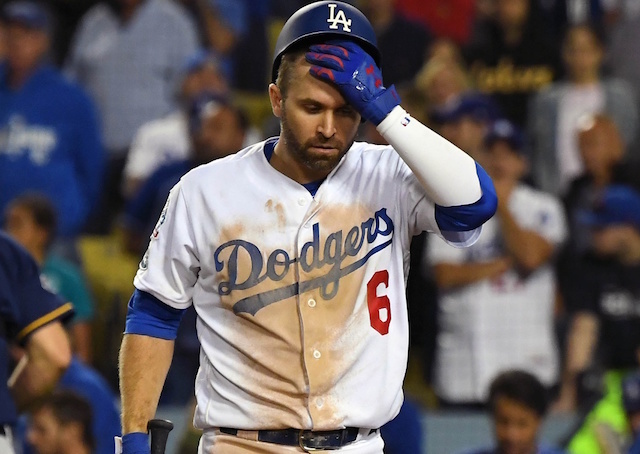 After more than a year of interest, the Los Angeles Dodgers got their man by acquiring Brian Dozier at the non-waiver trade deadline this season. They’d previously explored trade talks with the Minnesota Twins after the 2016 season. 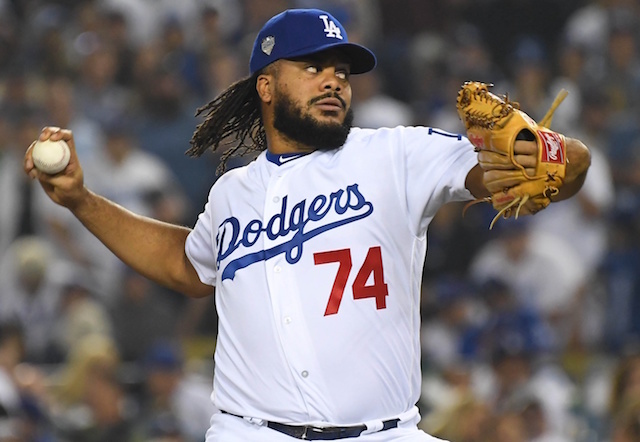 With the Twins reportedly seeking top prospects Cody Bellinger and Walker Buehler in a trade, the Dodgers ultimately pivoted and sent Jose De Leon to the Tampa Bay Rays for Logan Forsythe in January 2017. Coincidentally, Forsythe and two Minor Leaguers were traded to the Twins in exchange for Dozier. While the Dodgers had long targeted the slugging second baseman, he was enduring a down year. That carried into his time in Los Angeles despite a history of proving to be a strong second-half player. Brian Dozier toughed it out and played with a severe bone bruise all 2018, which explains his uncharacteristic season. It wasn’t until September that Dozier revealed he was playing through knee trouble. Aware of his struggles at the plate, Dozier refused to use the injury as an excuse at one point was said to have been in better health. Dozier hit a bleak .182/.300/.350 with nine doubles, five home runs and 20 RBI in 47 games after being traded to the Dodgers. Dozier’s combined 21 homers marked his lowest total since hitting 23 in 2014. Dozier’s down season came at an inopportune time as he was among the players to become a free agent the morning after the World Series concluded. He raved about time spent with the Dodgers, implying a return was of interest to him. There’s been little to make publicly of Dozier’s market thus far, while the Dodgers have already been connected to D.J. LeMahieu.